1) Sales were up by 23% for apartments priced at $1M-$4M, the market segment referred to as “affordable luxury”. On the contrary, the number of sales for apartments $10M+ fell by 25%. 2) The number of sales rose 14% from the 3Q2016, but were still 4.3% below the same quarter in 2015. 3) During the 3Q2017, the median apartment price of $1.15M was down 3.6% from the 2Q2017, but up by almost 11% from the 3Q2016 (price per square foot declined 11.5%, to $1,678, while the average sales price dropped 1.3% to $2.0M). 4) The market shift produced a 24% decline in the median price of new development condominium sales in the 3Q2017 compared to the same period in the prior year. New development legacy contracts (2014/2015) for ultra-luxury apartments have closed and the market is now returning to a more stable level of pricing. 5) New development closings for the quarter were dominated by sales at buildings like 389 East 89th Street in Yorkville; 49 condos closed with a median price of $1.84M or $1,631/sf. 6) The median condo price in the 3Q2017 was $1.7M, up 4.6% from the 3Q last year, but down 4.5% from the 2Q2017. 7) The demand for lower priced apartments has driven up the prices of co-ops (which typically sell at a discount to prices of similar condominiums); median co-op price increased to $835K, up 6% from the 3Q2016 and up 1.2% from the 2Q2017. 1) After a strong performance during the first four months of the year, sales of both luxury co-ops and condos priced at $5M+ are experiencing a drastic slow down. 2) Sales fell by 41% for the period of May through August 8th in 2017 vs. the same period in the prior year. 3) Uptown co-op sales for $5M+ fell more sharply than similar priced condominium sales. 4) On Central Park West, contracts on co-ops priced at $5M+ totaled only two units since May, compared with eight during the same period last year and 14 in 2014. 5) On the Upper East Side, there were 11 comparable sales, compared with 20 last-year and 29 in 2014. 1) The number of resales in the three-month period ending 9/30/2017 increased 7.3% to 2,908 compared to the same period in the prior year (the largest quarterly sales total in two years). 2) The spike in sales reflected in part an average discount of 6.8% off the asking price (the second most since 2010). Although sales volume was up for the quarter, the average time to sell an apartment rose 27.8% to 101 days compared to the same period last year. 3) Despite the price discounts, the resale median price was up 1.9% to $995K, reflecting more activity in higher-end transactions. 4) There were also fewer bidding wars. Of all closed sales in the 3Q2017, 13% were above the listing price, down from 18% a year earlier. 5) The data demonstrates that sellers are finally in tune with the realities of the market and have adjusted from “aspirational pricing” to meet both buyer demand and transact deals. 6) In addition, there was a rise in activity at the lower end of the market. Sales of resale co-ops increased 5% to 2,098 from a year earlier; of those transactions, 84% were for apartments priced under $2M. 1) New development sales surged 69.5% to 461 units in the 3Q2017, but prices declined all around; the median sales price decreased 23% to $2.797M; average sales price declined 26.8% to $4.256M; and price per square foot fell 18.3% to $2,482. 2) The market metrics reflect fewer closings at high priced new buildings like 432 Park Avenue, compared to last year and a general pull back in demand in the ultra-luxury market for large apartments priced at $10M+ (fell 42% from 43 to 25 compared to the same period last year). 3) The sweet spot in new development is in the $1M-$4M price range ($1,800-$2,200/sf), where the market remains relatively healthy and well executed projects in desirable locations are still experiencing a good velocity of sales. 4) Developers with inventory in the $5M-$10M price range are feeling the pressure; there is an oversupply and a much narrower buyer pool at this price segment. 5) There are approximately 2,800 new development condo units coming onto to market in 2017 (vs. original projection of 5,000+ units). The Upper East Side, Midtown West and the Financial District are the top three neighborhoods for new development condo inventory; approximately one-half of all new construction pipeline is designated for Downtown. 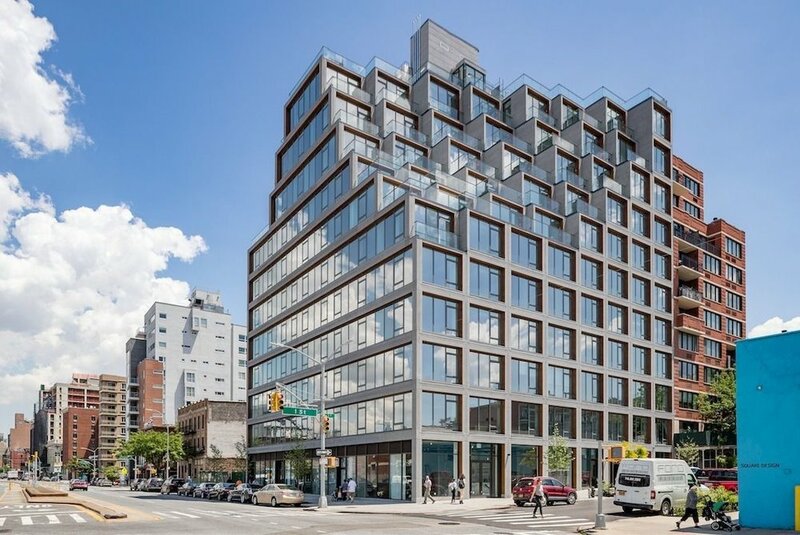 6) Steiner East Village ($2,100/sf), Vitre ($1,800/sf) on the Upper East Side, and One Manhattan Square ($2,200/sf) on the Lower East Side are all examples of new development condo projects that fall into the “affordable luxury” market category which is in high demand. 7) Despite the decline in the ultra-luxury market, there are still a number of very ambitious projects coming on-line, including Central Park Tower ($7,024/sf), 220 Central Park South ($8,989/sf) and 520 Park Avenue ($6,084/sf). 1) Queens had a total of four condo buildings in the top 10 selling residential buildings in NYC for the 3Q2017. In general, Queens is drawing an increasing number of value buyers priced out of both Manhattan and Brooklyn. 2) The number of luxury sales in Queens rose to 429 in the 3Q2017, a 12.6% increase vs. the same period in the prior year. The median sale price (luxury segment) rose 5.9% to $1.25M, while the average sales price rose 5.8% to $1.35M. 3) The Grand at Skyview Parc, located at 131-03 40th Road in Flushing, Queens takes the #1 spot; 92 units sold in the 3Q2017 with a median sales price of $799,569 or about $1,200/sf. 4) 389 East 89th Street in Manhattan took the #2 spot, with a total of 49 units sold and a median sales price of $1,840,691 or about $1,631/sf. This new development is one of several new luxury towers that is sparking a renaissance of the Yorkville neighborhood on the Upper East Side. 5) 550 Vanderbilt (#7) and Austin Nichols House (#6), are two top selling Brooklyn properties which also made the top 10 list. 550 Vanderbilt (Prospect Heights) is averaging about $1,500/sf and Austin Nichols House (North Williamsburg) about $1,600/sf. 1) Over the past several years, a lot of new development condo product has been added to the North and Northwest submarkets of Brooklyn. The higher prices associated with these new developments has had a ripple effect across the entire borough. 2) New development condo sales accounted for 31.5% of all Brooklyn condo sales during the 3Q2017 vs. 13.5% in the 3Q last year. 3) The median price of new condos reached $915K, increasing 17.5% year-over-year; 283 new condos were sold in the 3Q2017, increasing 148% from the same period last year. 4) For the 3Q2017, the median sales price (all property types) in the borough is $790K and the average sales price is $981,623, based on 2,914 sales. 5) The top 10% of the most expensive sales in the 3Q had a median price of $2.5M, unchanged from the same period last year. The average price was down 6.7% year-over-year to $2.89M and the average number of luxury sales at 271, was 3.9% less than the 3Q2016; evidence of a slight cool down in the luxury segment of the new development market ($3.0M-$3.5M+). 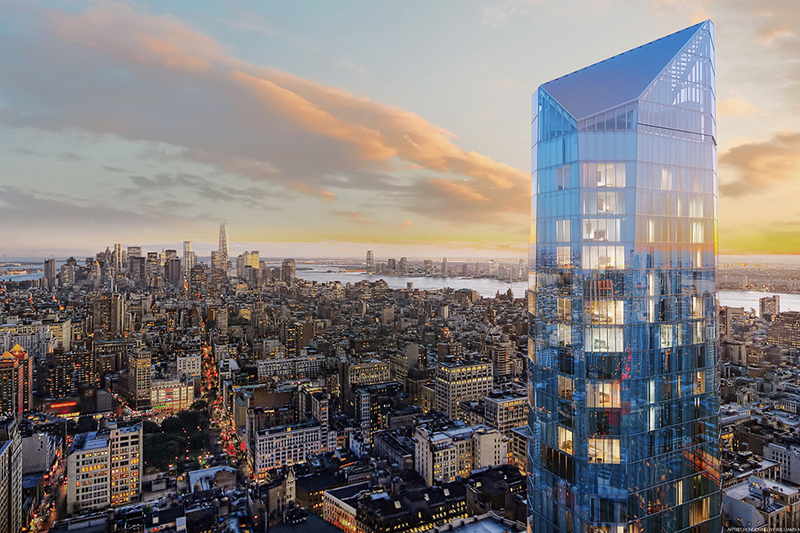 6) New development condo projects in Brooklyn with strong sales activity include The Standish, Austin Nichols House, 550 Vanderbilt, The Baltic, The Hendrik, The Vue and 251 First Street. 7) The penthouse at the Standish at 171 Columbia Heights in Brooklyn Heights has set a record for Brooklyn’s most expensive condo sale at $15.5M or $2,677/sf. The six-bedroom residence measures 6,218 square feet (with a 3,366 square foot private terrace). 1) Luxury Upper East Side pre-war co-ops are losing out the battle to luxury new development condo properties. 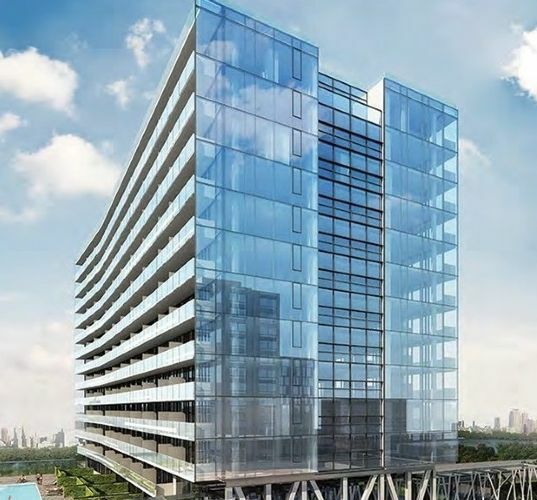 There has been a seismic shift in demand for Downtown, condo ownership and contemporary living in buildings with the latest technology and hotel style amenities. 2) Between the first six months of 2012 and the first six months of 2017, the number of Manhattan co-op contracts signed at $4M+ increased 21% to 153, while condo contracts at the same price point more than doubled during the same period, reaching 466 in the first six months of 2017. 3) Downtown is seeing an increase in condo buying activity. There were 184 contracts signed from 1/1 to 8/4 in 2017, at $5M+, a 16% increase from 159 during the same period in 2014. Over this time period, the city has seen a large influx of new luxury developments come to market in West Chelsea, the Flatiron District/NoMad, the West Village, Soho/NoLita, Tribeca, and FiDi. 4) With the arrival of the Second Avenue subway (Q Line), Yorkville is experiencing a major development boom with a number of new luxury condo properties, including 180 East 88th Street ($2,900/sf), the Kent ($2,250/sf) and Citizen 360 ($1,926/sf). In general, there is a potential value play for those buyers willing to go to the eastern section of the Upper East Side. Over the past 12 months, the average price per square foot on sold new development units west of Third Avenue was $2,949 vs. $1,855 for sold apartments east of Third Avenue. 5) The number of luxury co-op sales ($5M+) peaked in the first half of 2014 and remained steady each year through the first half of 2017 (between 50 and 60), but the dollar volume has dropped by about 33% from $900M to $600M over the same period. 1) Developer, Bruce Eichner comments on his definition of luxury, the rise of the Flatiron District and Downtown, the increase in number of $20M+ penthouse style apartments, and why New York is always going to be a leader when it comes to real estate values. 1) The Hamptons market mirrors the Manhattan market with softness in the luxury segment and price discounts required to transact deals. 2) Over the three- month period from July to September, the median sales price of luxury Hamptons homes, which comprise the top 10% of sales, dropped 11% year-over-year to $5.56M, while the average price was down 11.6% to $7.55M. 3) There were 322 active listings during the 3Q2017, a 22.4% increase from a year ago. As a result, luxury homeowners took an average 15% discount off of their asking price to sell, compared to 10% in the third quarter of 2016. 4) The Hamptons market saw more buying activity in the $1M-$5M price segment (“Hamptons Middle”). While the number of homes priced $5M-$10M fell 22.5% year-over-year, the number of sales under $5M increased 6.7%. 5) Overall, sales activity remained consistent with the 3Q2016. The number of homes sold for at least $3.3M (the threshold for the luxury segment) was 52, unchanged from the same period last year. There were 10 homes sold for at least $10M, compared to 11 sales during the same period last year. 1) Hurricane Irma had a negative impact on residential sales in South Florida during the 3Q2017. 2) Sales were down in every market, including Miami Beach and the barrier islands, Fort Lauderdale and Palm Beach. In Palm Beach, only 17 homes sold during the 3Q2017, a drop of 37% compared to the same period last year. 3) In the Miami Beach luxury sector (top 10% of sales), condos performed better than single-family homes; the inventory of available condos declined 8.5% to 1,130 units, while it increased significantly for single-family homes, up nearly 34% to 217 units. Both luxury condos and homes spent more time on the market than a year ago and the listing discount was about 8.9% (about the same as 3Q2016). 4) Boca Raton, Palm Beach Gardens and Fort Lauderdale were among the better performing South Florida markets.